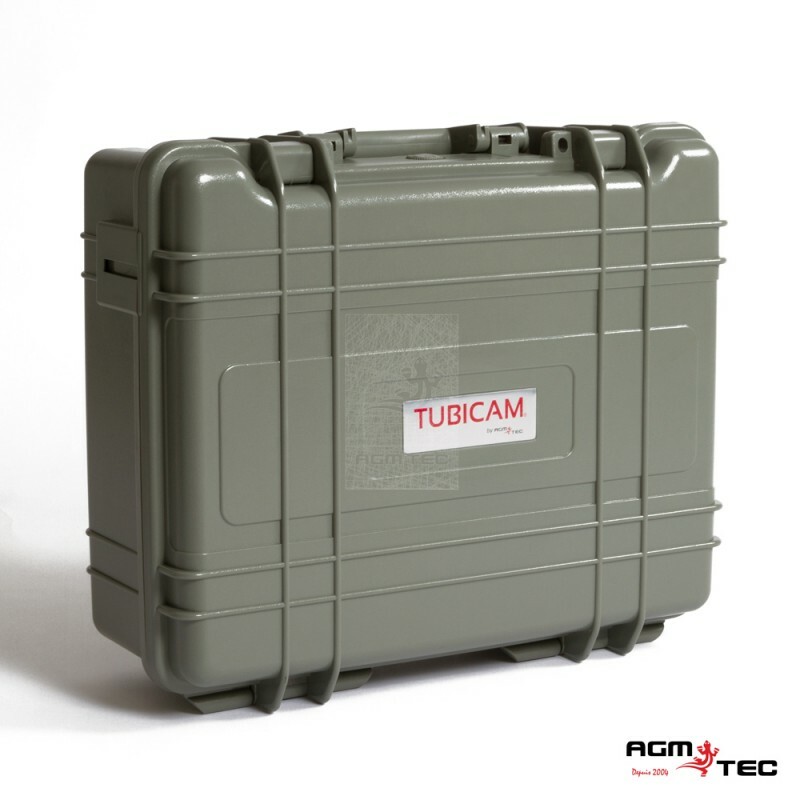 Thanks to this cameras combination, you will be able to fill the majority of your need in pipe inspections. 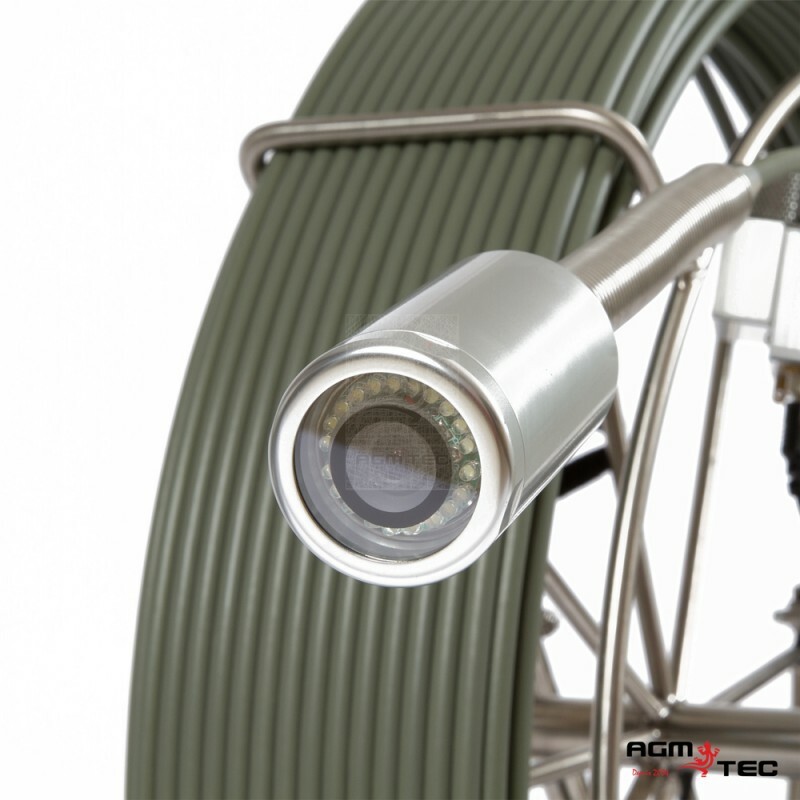 You benefit from two cameras diameters: Ø22 mm (7/8”) and Ø50 mm (2”) for inspection in pipes from 50 mm to 400 mm. 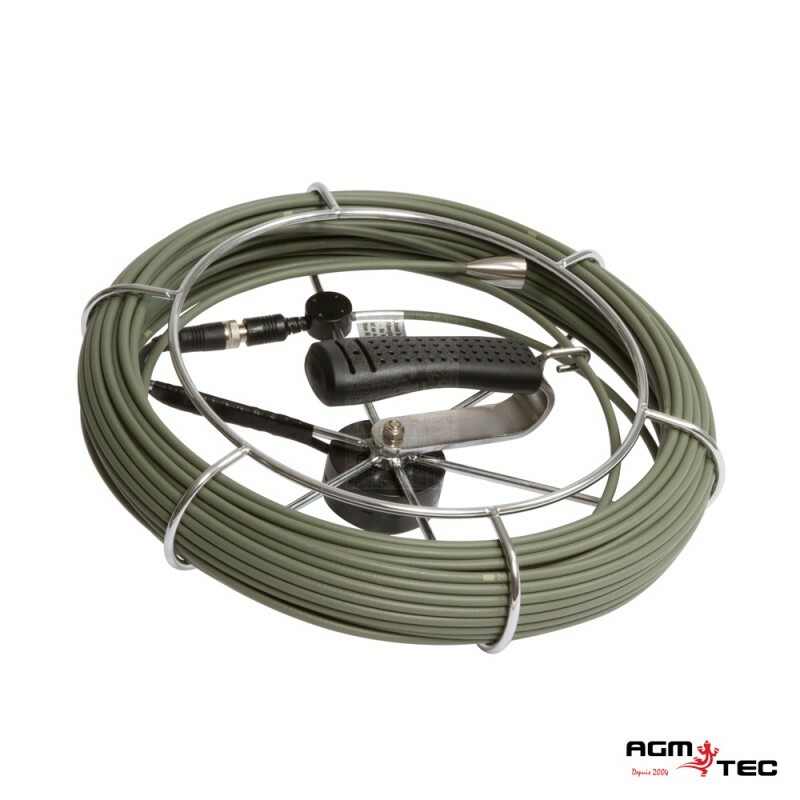 The inspection case is accompanied by a 30 (100’) or 40 (130’) meters portable reel and its Ø22 mm camera (7/8”) + a 60 (200’) or 120 (400’) meters big reel with wheels and its Ø50 mm camera (2”). The 50 mm camera (2") is equipped with pendular technology which ensures that the person who operates always has a horizontal image. It is protected by a sapphire glass, scratch-proof and unbreakable. It crosses 90° elbows from diameter 125 mm (4”). A meter counter is positioned on the big reelto indicate the distance driven by the camera. It is Supplied with three adjustable skid : 9 cm / 14 cm / 22 cm (3” / 4” / 6”) for Ø50 mm camera and one adjustable skid : 10 cm for Ø50 mm camera.